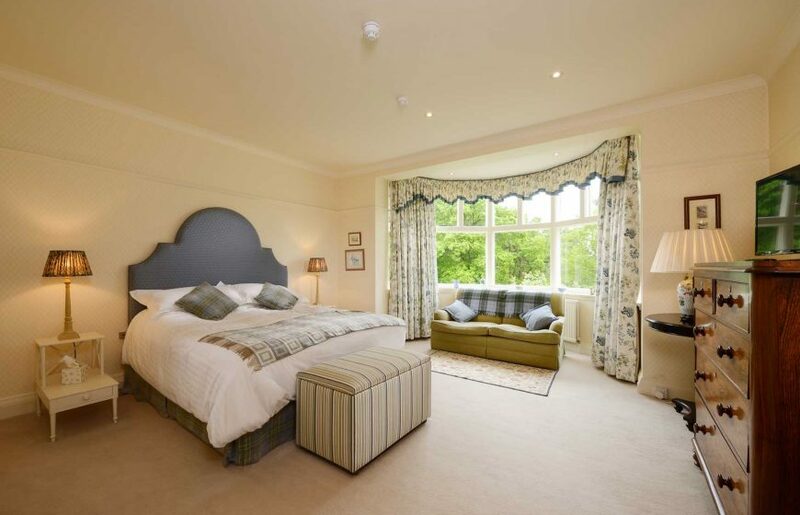 Room 4 is our largest suite, with a main bedroom, drawing room and ensuite shower room. The first room has a super king size bed and a large bay window with stunning panoramic views out across the main lawn and Utkinton Hills. The adjoining room is connected through a glass door and has a double sofa bed for children under 16. The ensuite is also attached to this room. With beautiful furniture and period features, this suite is suitable for larger families, or those who want a little more space and luxury.